In October 1918, with the First World War nearly over, a group known as “The Joint Committee of the Boards of Trade of South Vancouver, Richmond and Point Grey” began to lobby the Federal Government to dredge the twelve miles of the North Arm of the Fraser between the river mouth and New Westminster. The shallow water in the North Arm at low tide caused fishing vessels, tugs and other vessels with a greater than three foot draft to run aground, stopping traffic to industries along its banks until higher water. This limited the amount of raw materials and product the industries could ship and discouraged new industry from building in the area. In an effort to motivate the government to their ends, the Joint Committee published a “memorial” for the attention of the Hon. F.B. Carvell, Minister of Public Works for the Conservative Government of the time, titled “The North Arm of the Fraser: Its Industries, Its Possibilities: A Plea for its Development”. 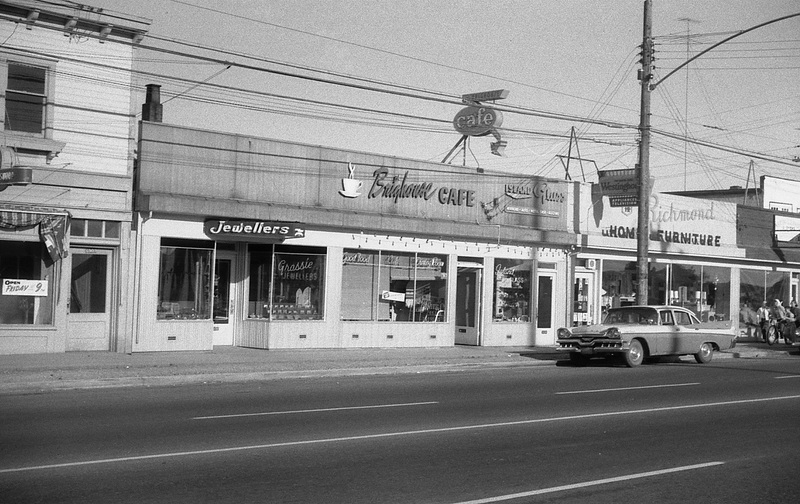 The panoramic cover photo of the “memorial” shows some businesses in Marpole, which had changed its name from Eburne two years earlier. Shown are the Eburne Gravel Company and Eburne Sash, Door and Lumber, both at the foot of Hudson Street. City of Richmond Archives photograph 1987 91 1-5. The document was signed by a diverse collection of politicians, industrialists, business owners, mariners and other citizens, all of them putting forth their justification for the dredging of the river. It also included a wonderful collection of photographs showing the North Arm and the industries along its shores in the early twentieth century. The first photo in the body of the memorial is this one of the North Arm Jetty. City of Richmond Archives photograph 1987 91 6-10. The North Arm Jetty had been built and the mouth dredged some years before allowing vessels to enter the river on any stage of the tide and be protected from wind as they did so. Since then it was felt that the greater outflow caused lower levels farther up the North Arm and several shallow spots in the river preventing vessels with a deeper draft from proceeding up river until high tide. Logs would have to be placed into booming grounds down river where they could be picked up by smaller tugs rather than be delivered straight to the mills, increasing towing costs. The Huntting-Merritt Lumber Co. mill. City of Richmond Archives photograph 1987 91 19. 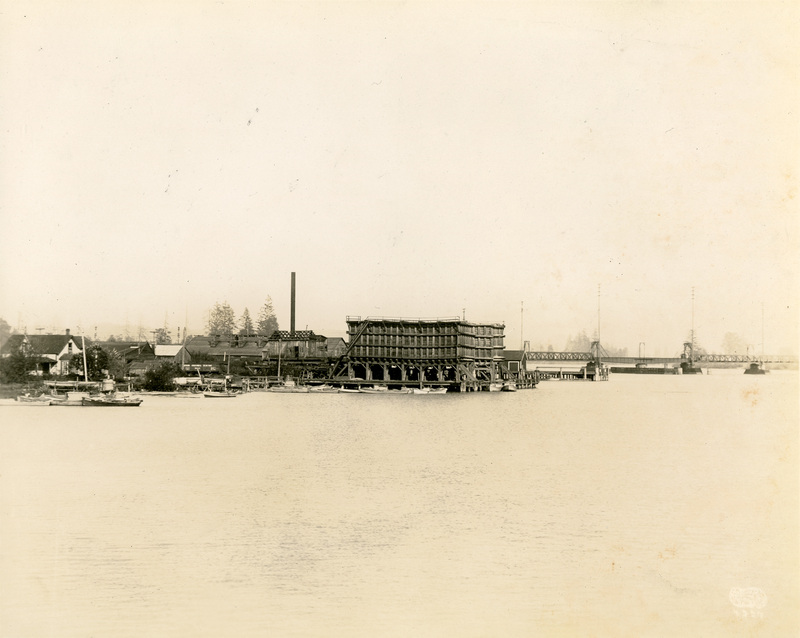 The Huntting-Merritt Lumber Company shingle mill was located at the foot of Granville Street on the Vancouver side of the river. They operated eleven shingle machines, day and night, and employed 100 men. 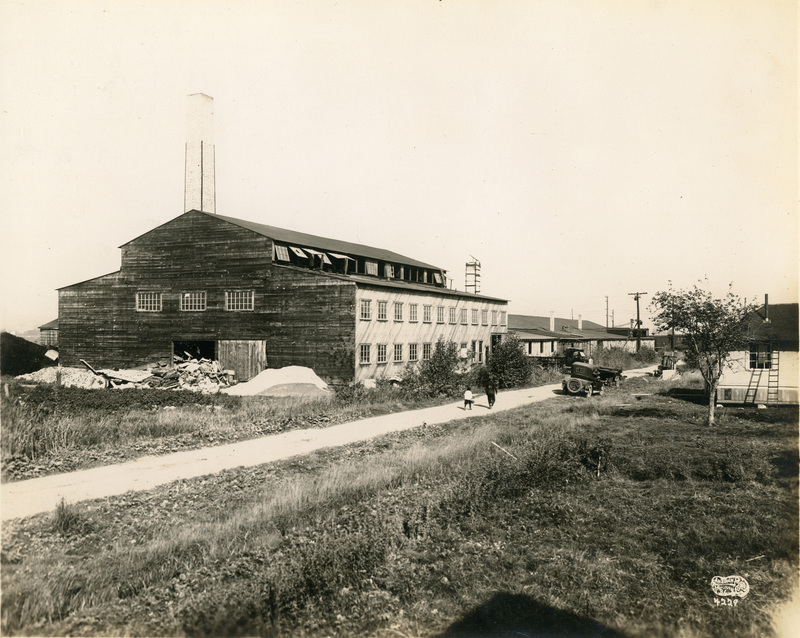 Next door, the Eburne Sawmills Limited mill was having a difficult time handling logs and had to dredge their booming ground to allow the mill to keep employing 125 men at their mill. 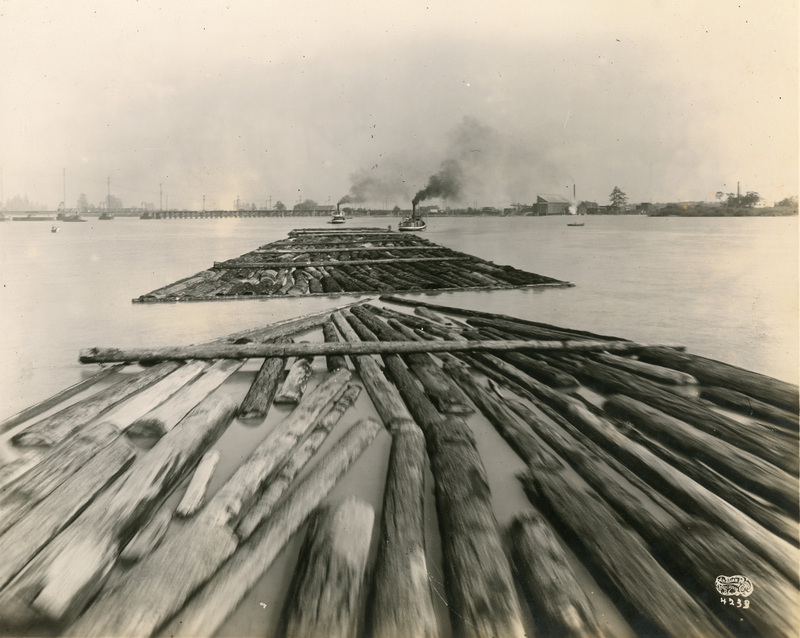 Logs bound for the Canadian Western Lumber Company are towed upstream toward the CP Railroad bridge. City of Richmond Archives photograph 1987 91 20. The Eburne Gravel Company Plant. City of Richmond Archives photograph 1987 91 21. The Eburne Gravel Company sold builders’ supplies and coal and claimed that the difficulty of towing on the river cost them an additional 25 to 30 cents per ton for coal and 10 to 15 cents per yard of sand or gravel. 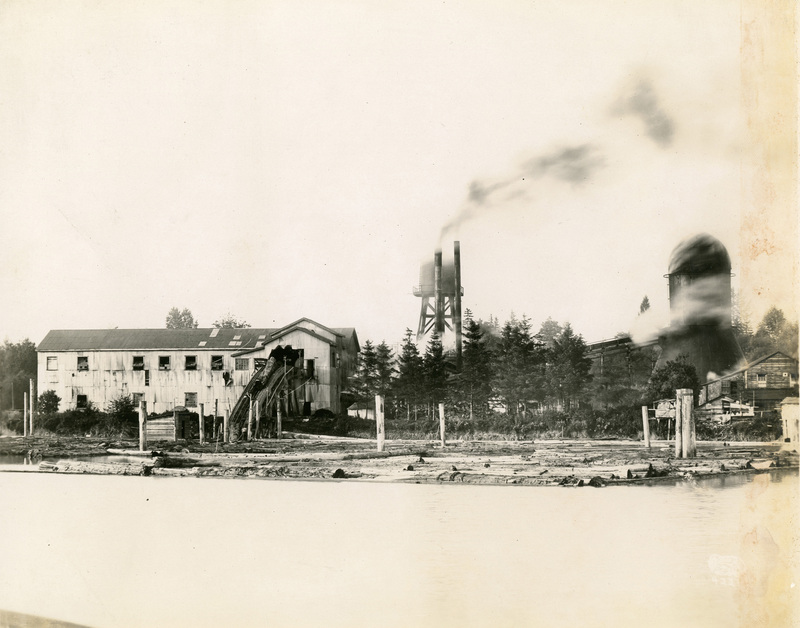 The Graham Evaporating Plant at Marpole. City of Richmond Archives photograph 1987 91 22. The Graham Evaporating Plant produced desiccated vegetables and green, dried, evaporated and canned apples, employing about 100 people. They handled about 25 to 30 tons of vegetables a day and employed 100 people. Most of their product was transported by “team” or rail but they felt that dredging the river would give them the opportunity to ship product by water, reducing costs. The Eburne Steel Company. City of Richmond Archives photograph 1987 91 23. The Eburne Steel Company produced bar iron and steel ingots as well as other wartime necessities. They employed about 80 men. They were entirely dependent on rail transportation to receive their iron ore and ship out their products and said they would require tug and scow facilities to fully realize their business goals. 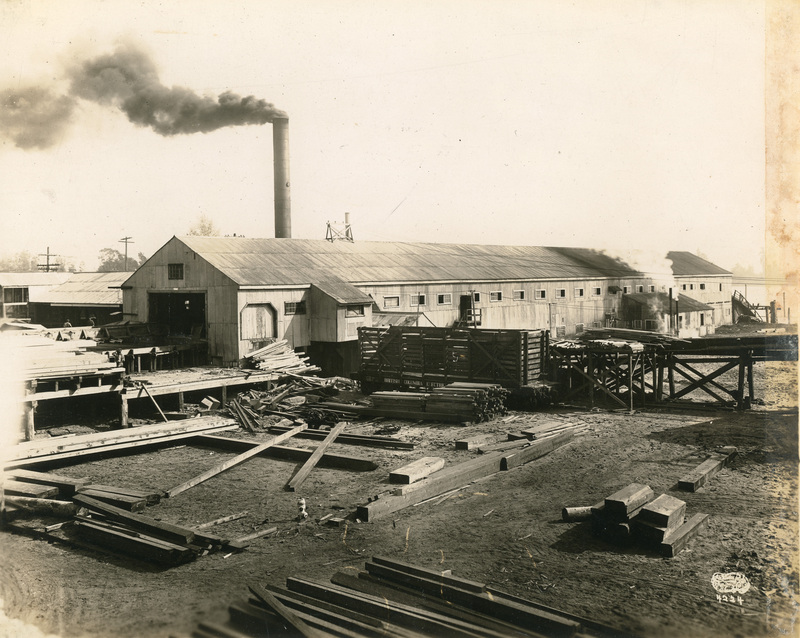 The Dominion Creosoting and Lumber Limited lumber mill. City of Richmond Archives photograph 1987 91 24. The Dominion Creosoting and Lumber Limited creosoting plant. City of Richmond Archives photograph 1987 91 25-27. 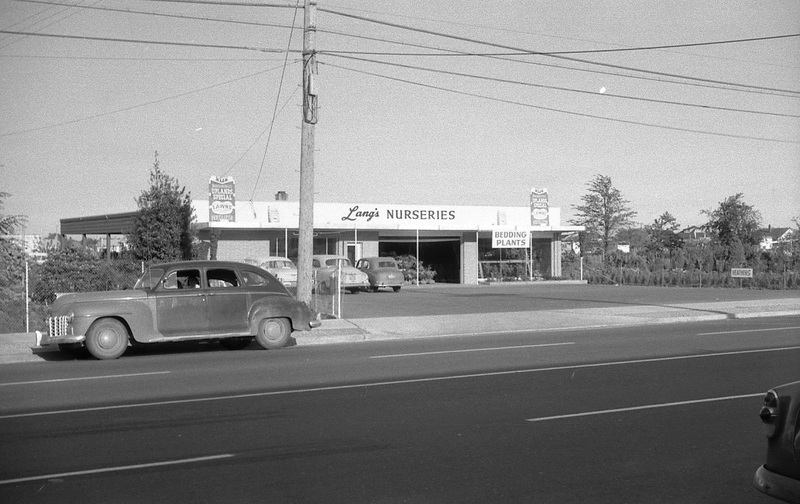 The Dominion Creosoting and Lumber Limited operation in South Vancouver was also hampered by the problems of shipping their product to market. Their lumber mill employed 120 men. The creosoting operation had been idled because of a lack of creosote which was shipped from England. It was expected that when the war was over, this part of the plant would reopen and employ another 30 men. Their plant had the use of 1200 feet of river frontage. An improvement in shipping ability would greatly improve the profitability of their business. They claimed that theirs was only one of forty or fifty available industrial sites on the North Arm which could be developed if only the shipping issue could be rectified. 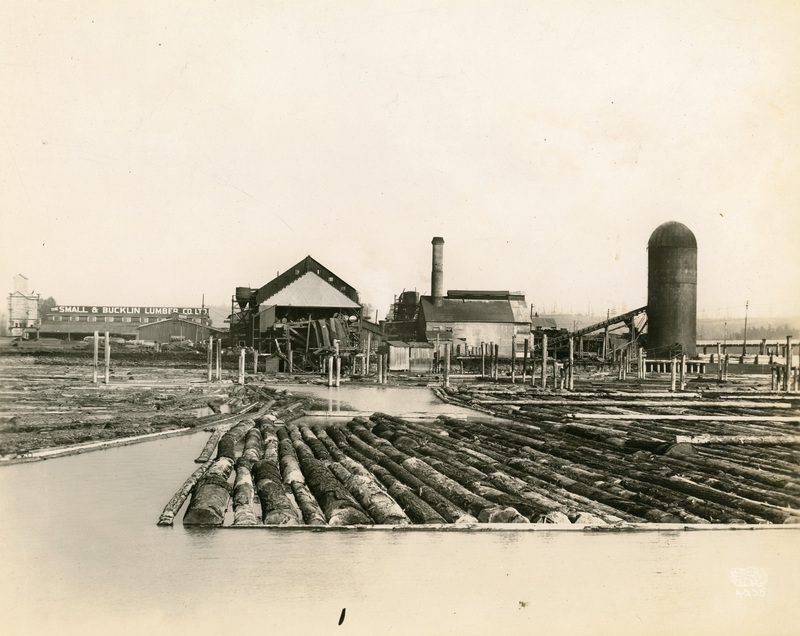 The Canadian Western Lumber Company Limited mill at Fraser Mills is shown here with their fleet of tugs Joyful, Fearful, Cheerful, Gleeful and Dreadful. The Stern wheeler Senator Jansen is on the right and an unidentified small freighter loads on the left. City of Richmond Archives photograph 1987 91 36-40. If the vessel and their tow enter the river at the beginning of the flood they can make it as far as Eburne as the force of the tide is spent and have enough water remaining to carry them through the Eburne Bridge, the Railway Bridge and Mitchell’s Bridge at Fraser Avenue. They then have to stay with their tows for 24 hours before being able to move again on the flood tide. On this flood they can make it as far as the New Westminster City Limits where they have to wait another 24 hours before proceeding to the mills past New Westminster. 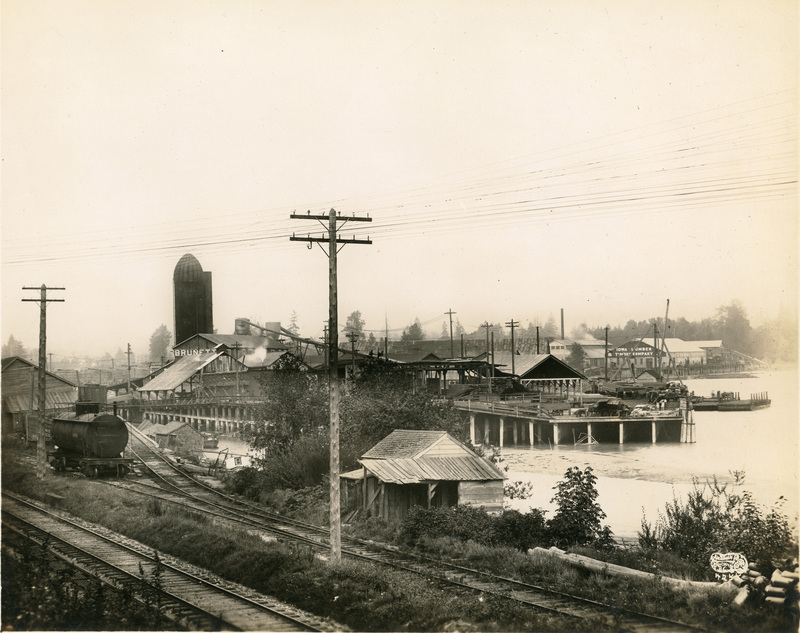 The Small and Bucklin Lumber Company Limited mill, New Westminster. City of Richmond Archives photograph 1987 91 11. The Brunette Saw Mill Company mill. In the background is the Iowa Lumber and Timber Company mill. City of Richmond Archives photo 1987 91 12. The Small and Bucklin Lumber Company and the Brunette Sawmill Company each employed more than 200 men and both reiterated the complaints of other industries along the North Arm. Both plants were in New Westminster and had to wait for a couple of tides for logs to be delivered to their mills. 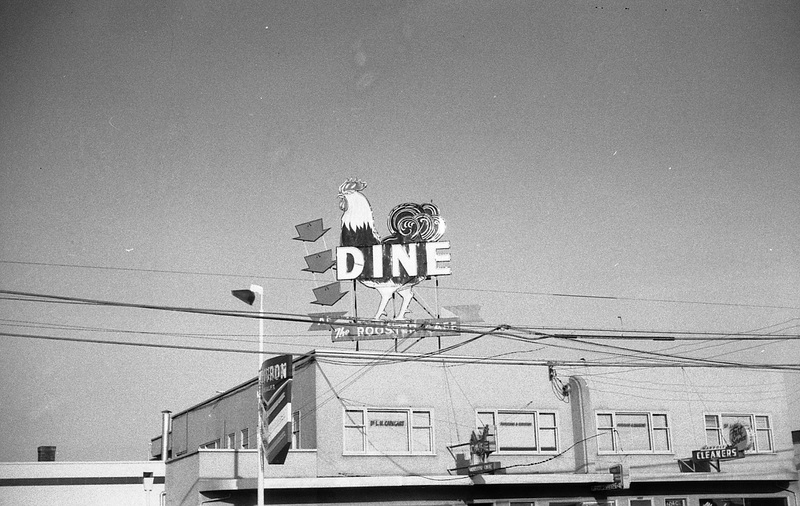 The Dominion Shingle and Cedar Co. is shown here in a photo taken from the old Queensborough Bridge. The skyline of New Westminster can be seen behind. City of Richmond Archives photograph 1987 19 13. 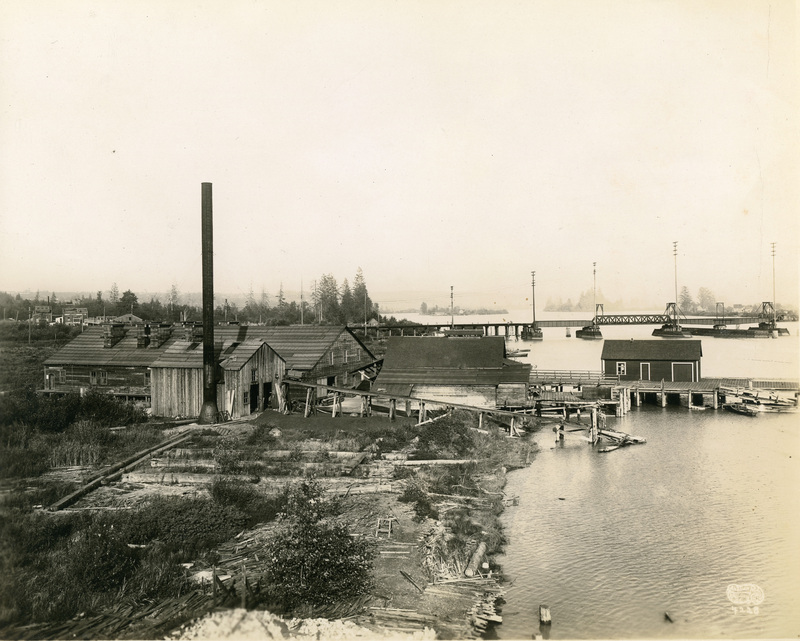 The Dominion Shingle and Cedar Company was located “at Lulu Island Bridge” (the old Queensborough Bridge) and employed about 50 men. 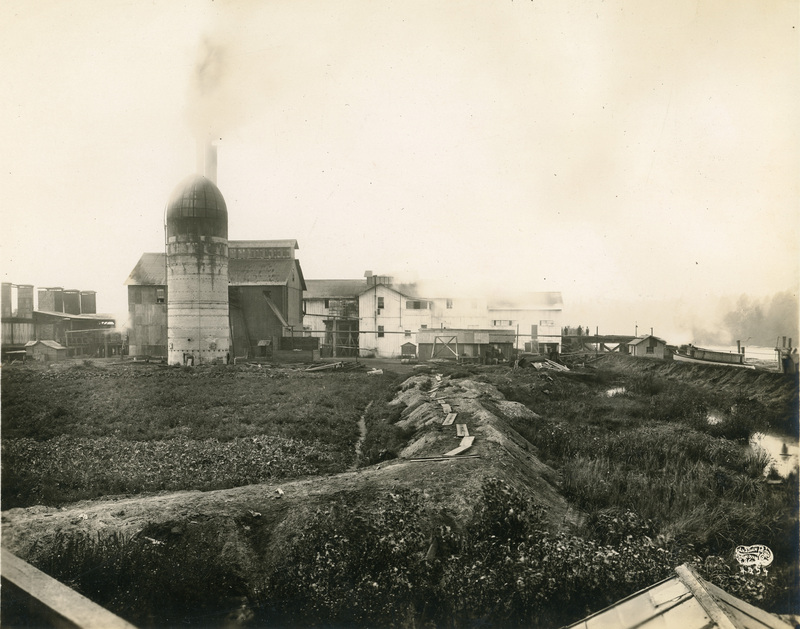 The Westminster Mill Company plant at New Westminster. City of Richmond Archives photograph 1987 91 14. 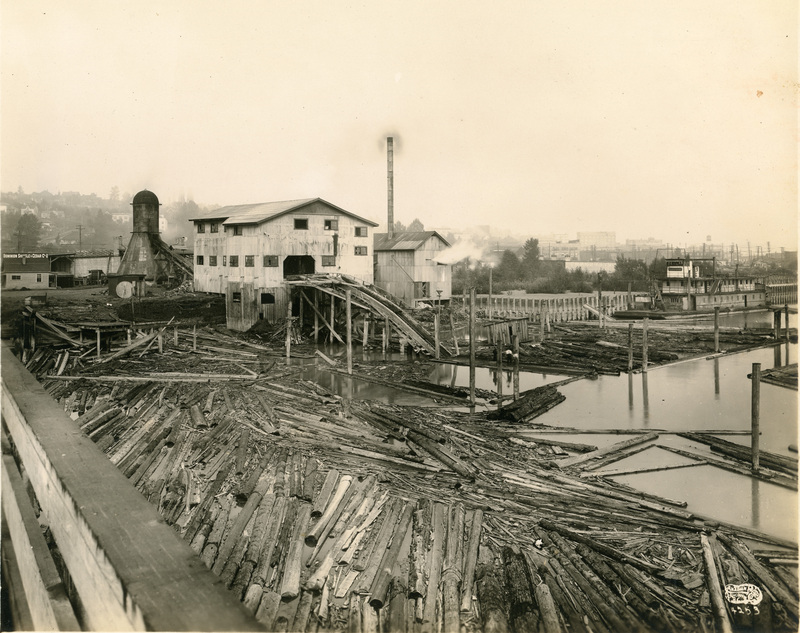 The Westminster Mill Company, manufacturers of red cedar shingles, operated two mills just below New Westminster which employed 200 men. Most of the logs used in the mill were brought up the river and delays in delivery due to low water levels seriously impacted their bottom line. The arguments must have had some effect as dredging did take place on the North Arm in 1918. Reports indicate that a dredge tore out a two inch steel waterline that Jacob Grauer had installed from the mainland to supply water to his store and butcher shop as well as his neighbors at Eburne on Sea Island. The final image in the document shows a tug towing a boom up river and another tug bringing a barge down river past the wooded tip of Eburne Island as a BC Electric Railway Interurban Tram heads to New Westminster. City of Richmond Archives photograph 1987 91 15-18. In 1918, with the First World War over and Richmond Town Council meeting in Bridgeport School due to the disastrous fire which destroyed the original hall on River Road, more and more pressure was being exerted to have a new Town Hall built in a more convenient, more central site. Council began looking for a new location that would meet the requirements of the growing Municipality. The Steveston Police station, jail and fire hall, shown here in 1915, had been built in the late 1890s. 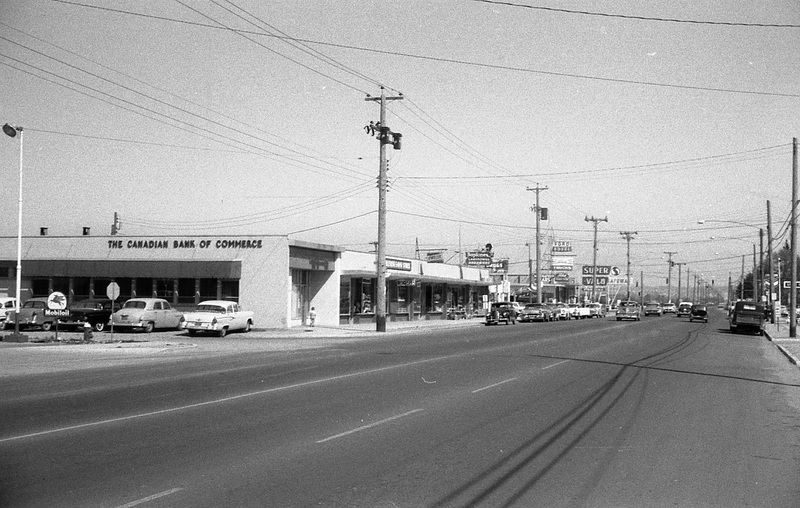 Its location and the fact that Steveston was the area with the highest population in Richmond was used as an argument for construction of a new town hall there. 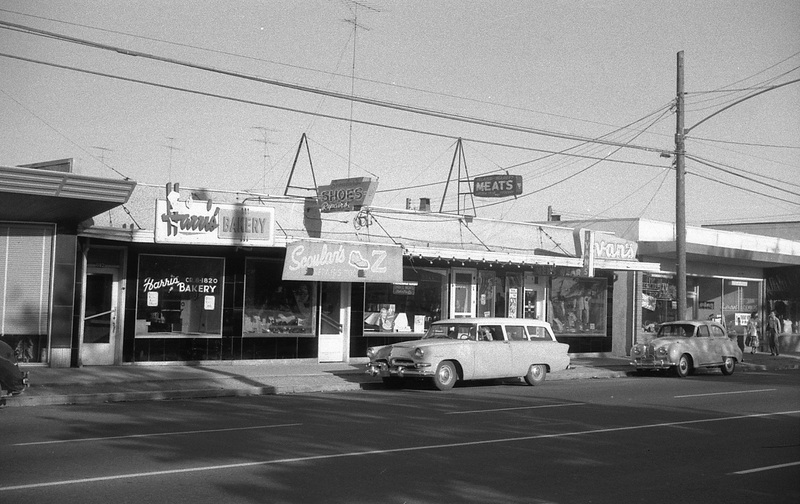 City of Richmond Archives photograph 2006 39 64. 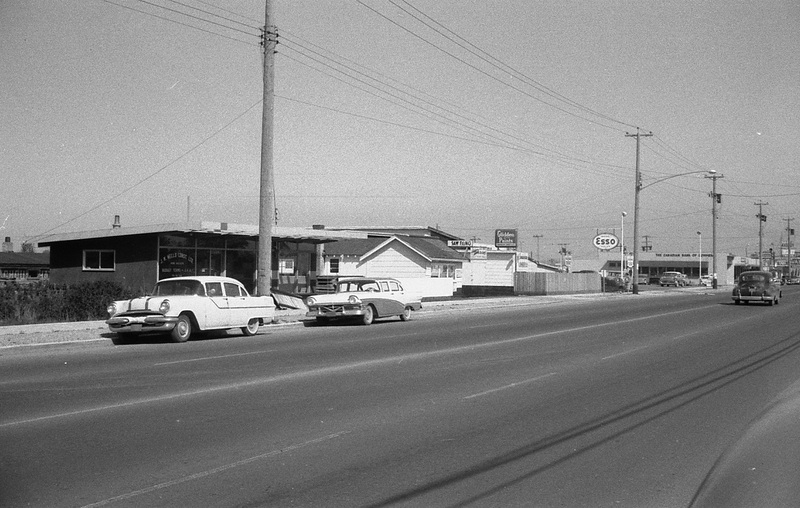 Steveston was mentioned most of the time as the best location for the construction of a new Town Hall, as it had the highest residential population, was already the location of the police station and jail and was at the end of the BC Electric Railway Interurban line. In January 1919, after due consideration and support from the Brighouse and Garden City Ratepayers Association, the decision was made to build the new hall in Brighouse. A deal was struck with Michael Wilkinson Brighouse, Sam Brighouse’s nephew and heir, to exchange the old Municipal Lands at River Road which had originally been purchased from the elder Brighouse, for about four acres of land at the southwest corner of No.3 Road and Granville Avenue next to the Brighouse Racetrack. The location of the new hall would help the area grow into the main commercial centre of Richmond. The new Richmond Town Hall, ca. 1920. Behind the hall is the Minoru/Brighouse Racetrack grandstand. 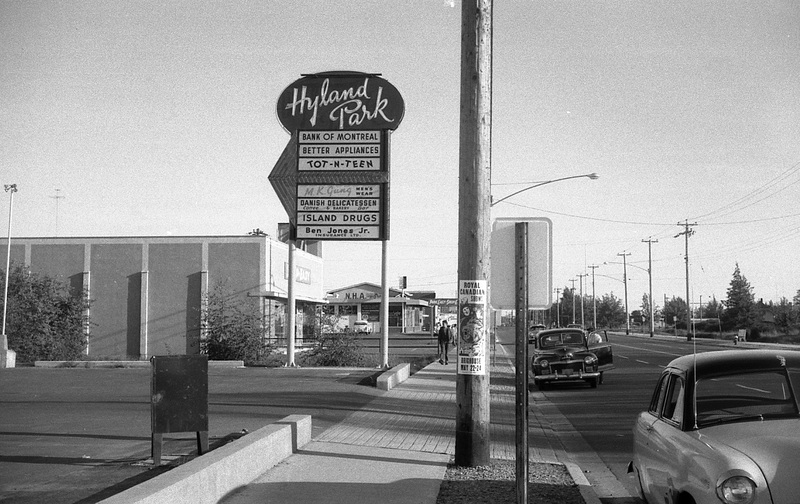 City of Richmond Archives photograph 1987 97 1. The Reeve and Council passed a by-law stating that the cost of the new hall would not exceed $15000, the cost to be covered by a public levy over three years. The new building was designed by Architect W. Jones and was much different in appearance from the simple old hall it replaced, looking much like an English Manor House. Mr. D. Gray was given the contract for the construction with his bid of $10519 and a further amount was awarded to the company of Barr and Anderson for plumbing and heating. Construction problems arose early during the build, first in the foundations, which were found to have been laid six inches short of the required width, and then in the flooding of the coal furnace, which for some unknown reason was constructed below ground level, not the best building practice in Richmond. The new Town hall officially opened on December 13, 1919 and 300 citizens looked on as Reeve John Tilton called the Council meeting to order. 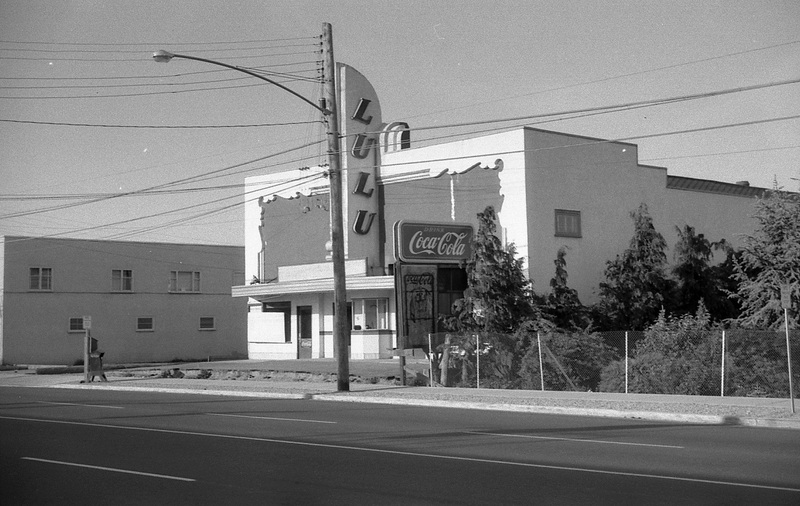 When the meeting was over a celebration was held, the first of many to be held in the building which would serve the community nearly four decades. In 1941 the hall was renovated and a new vault was built. This blueprint shows the second floor with the council chambers, Reeve and Clerk’s offices, public service area, etc. 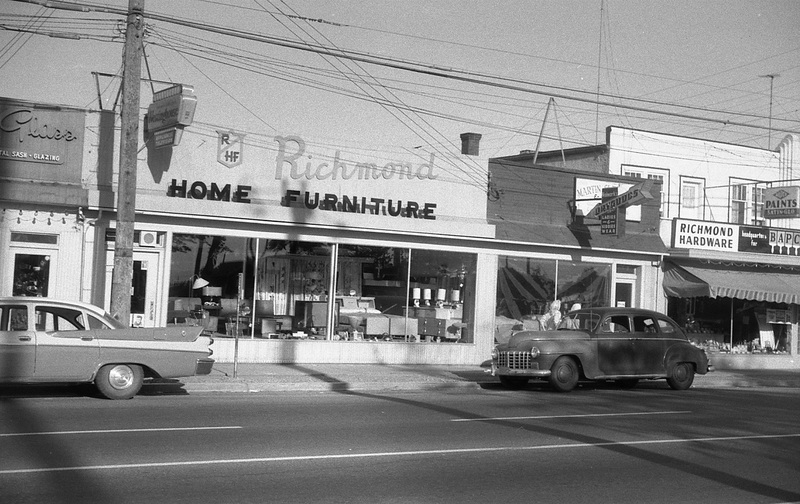 City of Richmond Archives image. The Police Department moved into the new hall in January 1920. By 1922 a resident janitor had been hired who was tasked with janitorial duties, answered the phone when the Police Chief was out of the building, took care of any prisoners in the jail and otherwise made himself useful around the hall. The ground floor of the hall was also renovated in 1941. Shown here are the police offices, jail cells and living quarters for the resident janitor. 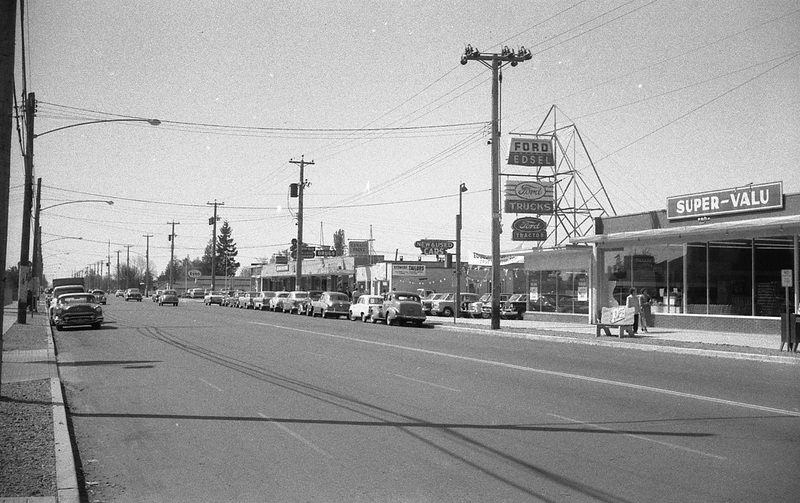 City of Richmond Archives image. The hall, like its predecessor, was used as a social gathering place as well as for municipal business. Dances and concerts were held in the council chambers as well as meetings for many organizations. The Great War Veterans Association held meetings there, leading to the erection of the cenotaph in front of the building in 1922. The Agricultural Association leased a portion of the property for the construction of a building and tennis courts and lawn bowling greens were set up on the lawns adjacent to the hall. The cenotaph was erected outside the Town Hall in 1922. It still stands outside the present City Hall. 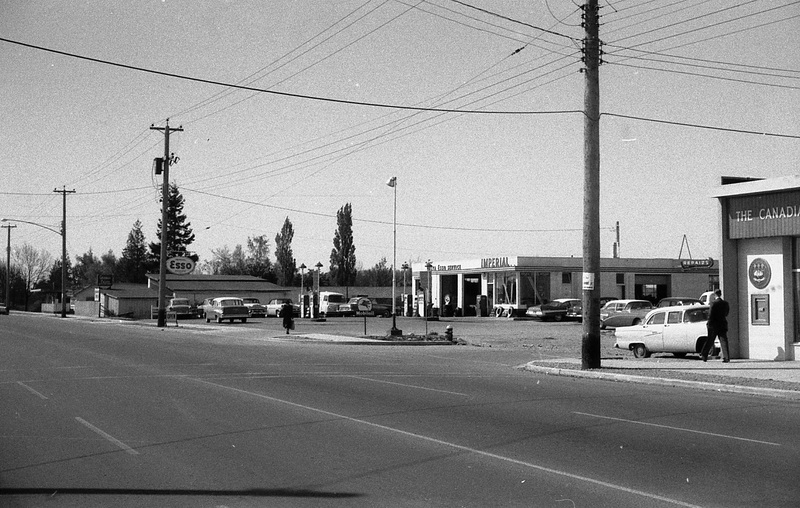 City of Richmond Archives photograph 1977 21 8. Four large light standards were installed on the grounds around the hall in January 1927. It was reported that when they were illuminated it would cause the lights inside the hall to dim, requiring an upgrade to the wiring in the place. During the Second World War the Town Hall provided office space for the War Loan Drive. Shown here are members of the Richmond Volunteer Fire Department/ A.R.P. during a War Bond Drive.. City of Richmond Archives photograph 1984 7 1. During the Second World War an office in the hall was provided to the War Loan Drive. A renovation of the hall took place in 1941 during which a new vault was built and changes to the interior spaces were made. After these renovations the hall remained as it was until 1955 when plans were approved for the construction of a new hall to replace the aging structure. The Municipality had out grown its centre of government and it was time for an upgrade to the post war modern era. This 1848 aerial view of the intersection of No.3 Road and Granville Avenue shows the Richmond Town Hall and its surroundings. On the left is Brighouse Park with its field and lacrosse box. The lower right shows the hall, works yard and outbuildings. On the far right is the grandstand and clubhouse at Brighouse Racetrack. 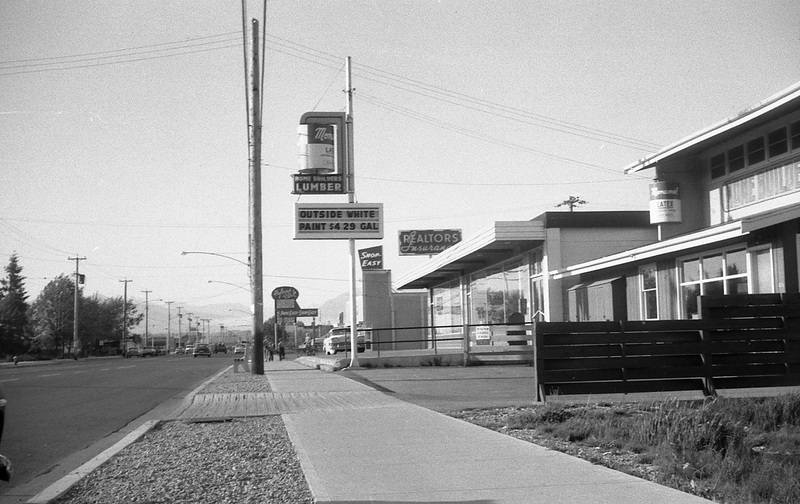 The bottom of the photo shows the commercial buildings along No.3 Road. Granville Avenue and the BC Electric Railway tracks run diagonally from bottom to top. 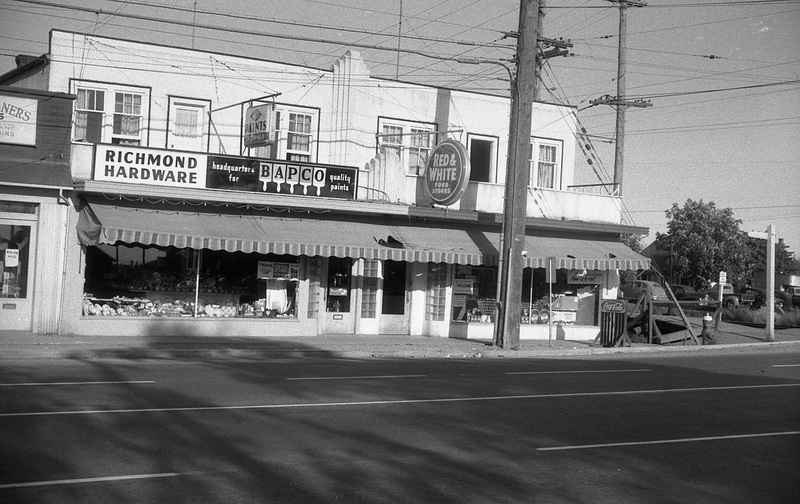 City of Richmond Archives photograph 1997 16 1. 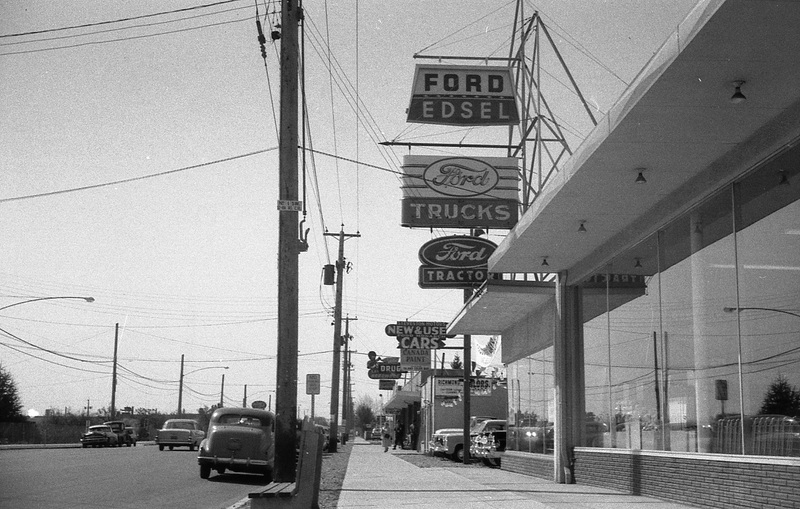 In the days before the big grocery store and market chains completely took over the food sales business, Richmond was served by several family owned and operated stores. 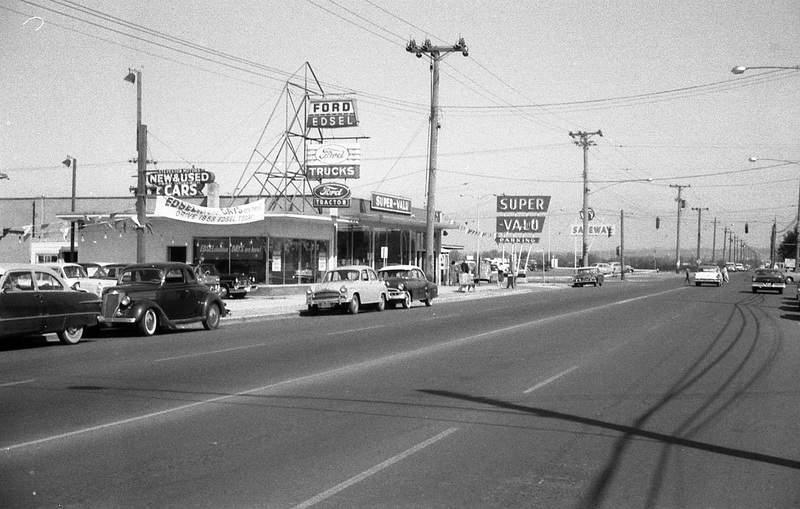 The stores were conveniently located in the areas in which most of their customers lived and usually offered phone orders and free delivery. 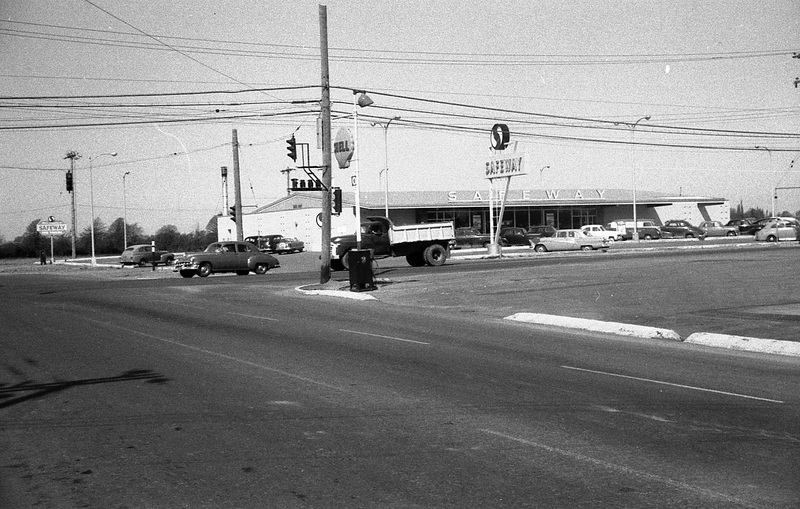 Brighouse Grocery was located, as its name suggests, in Brighouse on the corner of No.3 Road and Granville Avenue. 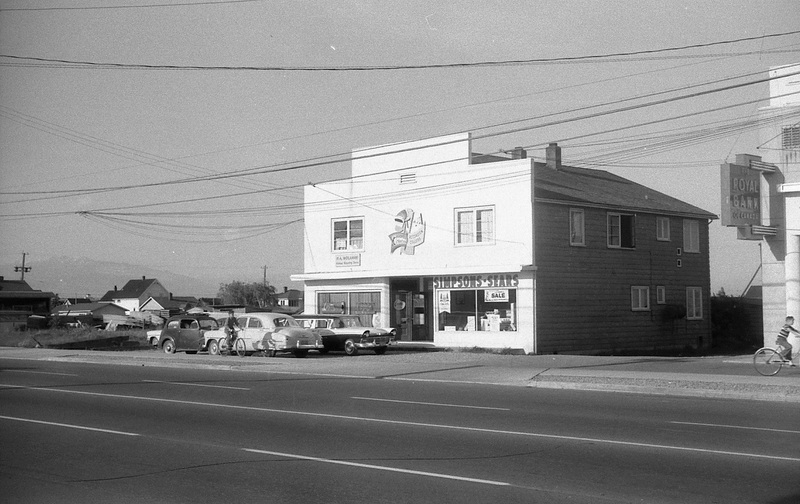 The original Brighouse Grocery was built by Josiah Stirton around 1918 and was located at the corner of No.3 Road and General Currie Road. 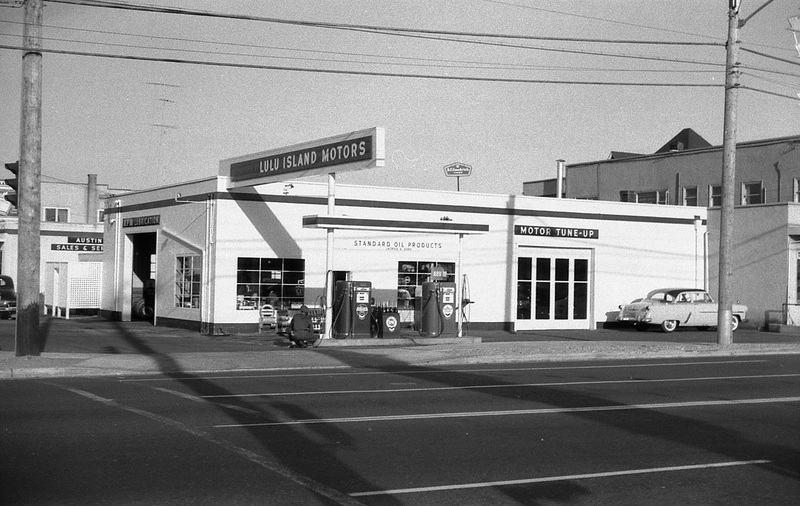 It operated there for several years, but moved to the Granville – No.3 Road building after it was built. The new store, near the new Town Hall and the BC Electric Railway’s Brighouse Station was a far better location and the business thrived there for many years. 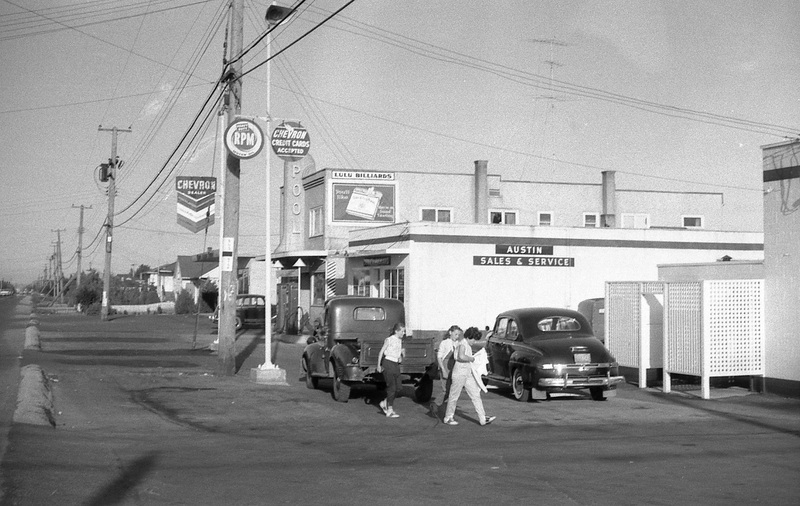 In 1949 the store was purchased and operated by the Meyer family, Paul and Bertha, who became part of the Red & White chain of independent grocery stores. 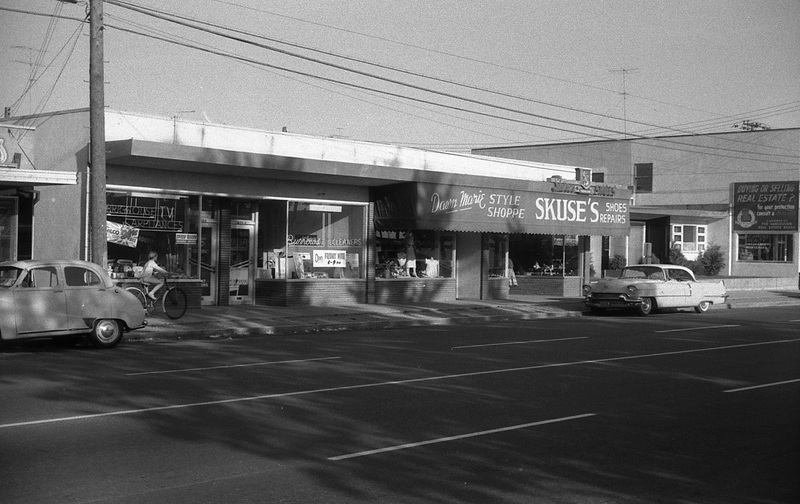 The Meyers owned the Brighouse Grocery Red & White Store from 1949 to 1963 offering telephone orders and free delivery. 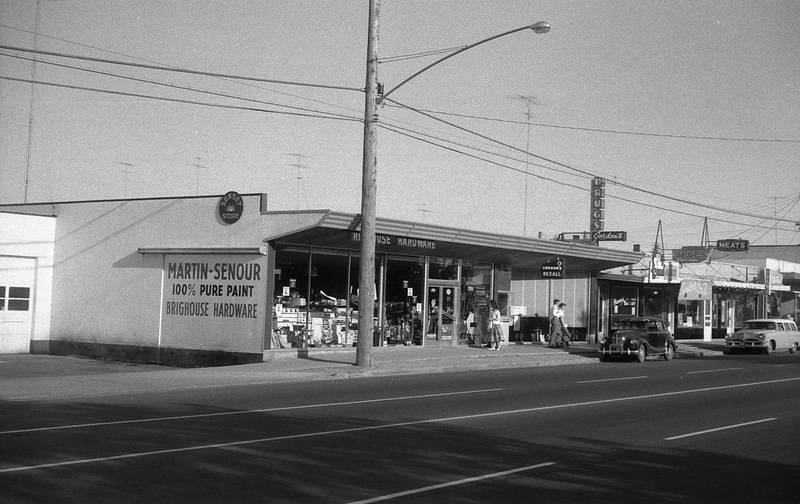 The variety of items offered by the store made one-stop shopping a reality in what would be considered a tiny space by today’s standards. Everything from cake mixes to produce and meat was available. If riding the tram or driving to the store was not practical, your order could be phoned in and delivered for free, a service only now being offered by many of the big grocery chains of today. The Interurban Tram, which would rattle the stock on the shelves when it went by, was missed by the store when the tram service was discontinued in 1958. Brighouse Station was just around the corner from the store and the reduction in business hurt the store’s bottom line. The store operated until about 1974 as the Brighouse Market. Well known photographer P.C. Lee opened his business there after it closed down. 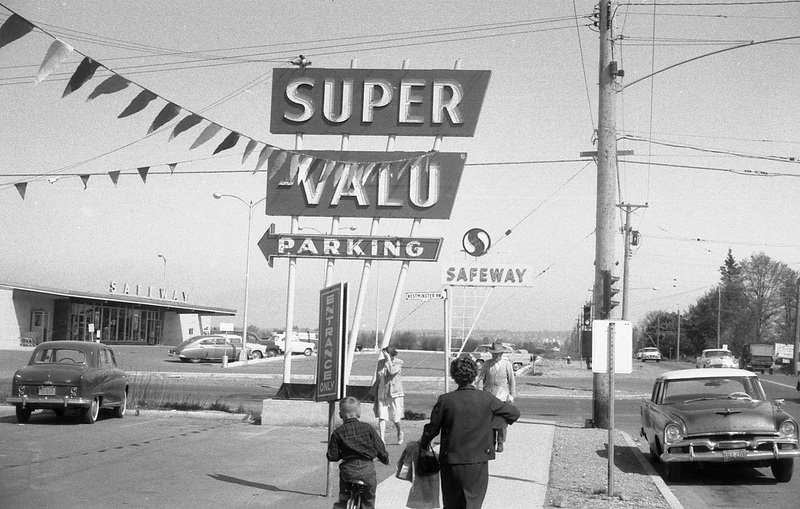 Today most grocery purchases are made at one of the big supermarket chains or at one of the markets that specialize in produce sales, but many people have fond memories of the small neighborhood grocery stores of yesterday, run by local people who knew their customers by name. On November 10, 1879, when Letters Patent were issued to incorporate the Corporation of the Township of Richmond at the request of 25 early settlers, the first order of business was to hold an election and form a council to run the fledgling municipality. The election was held at the home of Hugh Boyd and Alexander Kilgour and, as required in the Letters Patent, a “Warden” and seven Councillors were elected. Hugh Boyd was the first Warden of Richmond, a title later replaced by Reeve and then Mayor. Hugh Boyd, the first Warden of the Corporation of the township of Richmond. The first Council meetings were held in the dining room of his house on Sea Island. City of Richmond Archives, Oil Painting by T. B. Walker, 1911. Council meetings were held in the dining room of the Boyd house on Sea Island until a better venue could be provided. In October 1880, Council approved the purchase of a five-acre field from Sam Brighouse. The property was located on the Middle Arm of the Fraser River near the present day intersection of River Road and Cambie Road. Land not occupied by the Municipal buildings was to be rented out to a farmer to produce crops. The contract for building the new hall was awarded to James Turnbull who built it for $434. The building was completed on January 4, 1881 and a few weeks later the outhouse and woodshed were also finished. The first function to take place at the brand new hall was a party to celebrate its completion. Guests were transported from New Westminster to the party on the steamboat Adelaide, there being too few men and even fewer women in Richmond at the time to make a proper observance. A group of school children play baseball outside of the first Richmond Town Hall which also served as an early school. In this photo, ca. 1888, are William Garratt, Leo Carscallen, Peter Carscallen, James Sexsmith, Mr. McKinney, Jack Smith, George Sexsmith, William Mellis, Frances Sexsmith, Anna Sexsmith, Pearl Robinson, Kate Smith, Grace Sweet, Mae Vermilyea and Anna Noble. 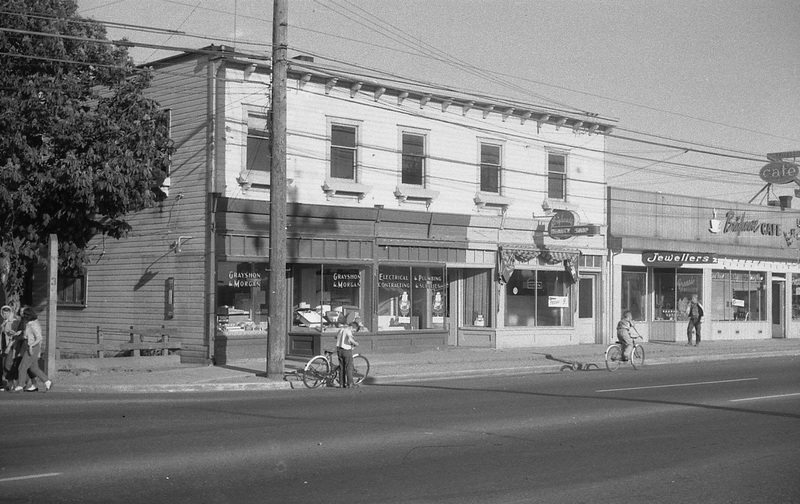 City of Richmond Archives photograph 1984 17 77. 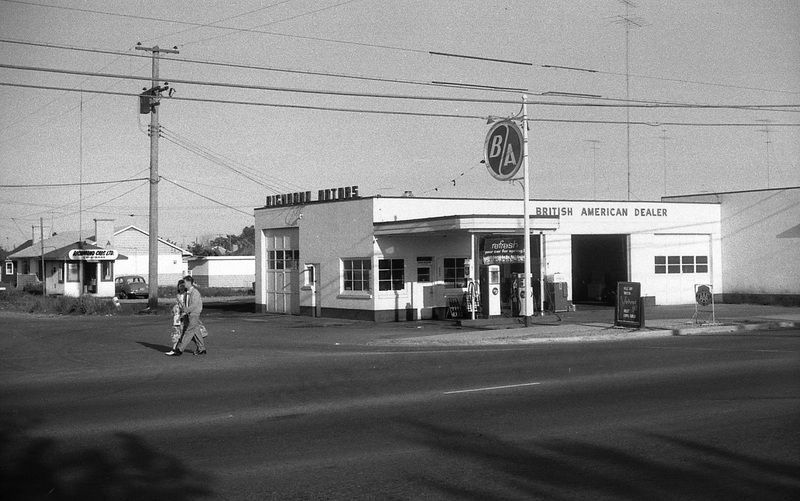 The purchase of property in that location was made based on an important fact about Richmond in those days. There was no infrastucture, – no roads, minimal dyking done by private landowners and few trails. The location of the hall on the Middle Arm made arrival by boat convenient for many. In order to attend council meetings Councillor Walter Lee, who lived on the South Arm, would travel to Steveston by boat and then hike to the hall along the Crabapple Ridge. Travel overland was impossible in many areas due to the bog and gum boots were recommended even in the “dry” spots. Most Councillors carried slippers with them so they would have footwear during council meetings. The new hall and the property it was built on became a centre of cultural activity for the community. Before long members of the Richmond Agricultural Society built an Agricultural Hall on the Municipal land near the Town Hall and many agricultural fairs were held there, starting in 1894. The Steveston Brass Band held concerts at the Town Hall, fraternal organizations booked the space to hold their meetings and it became a polling station for elections. Church services were held there and in 1881 permission was granted to the North Arm School Board to use the Hall as a school. Fourteen boys and twelve girls attended classes there with Miss Sweet as their teacher. 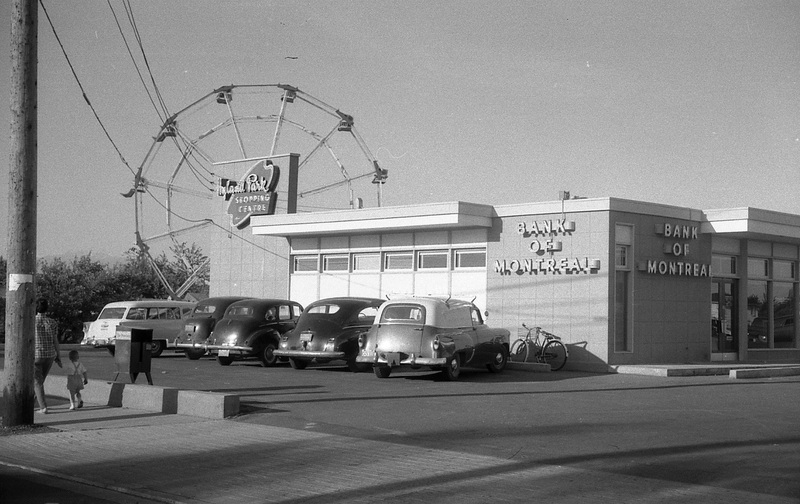 Richmond residents enter the gates to attend the agricultural fair, ca. 1910. The board at the gate shows the fees, Admittance – 25 cents, Children – 10 cents, Horse and Buggy (with driver) – 50 cents. Lunch was available on the grounds for 25 cents. 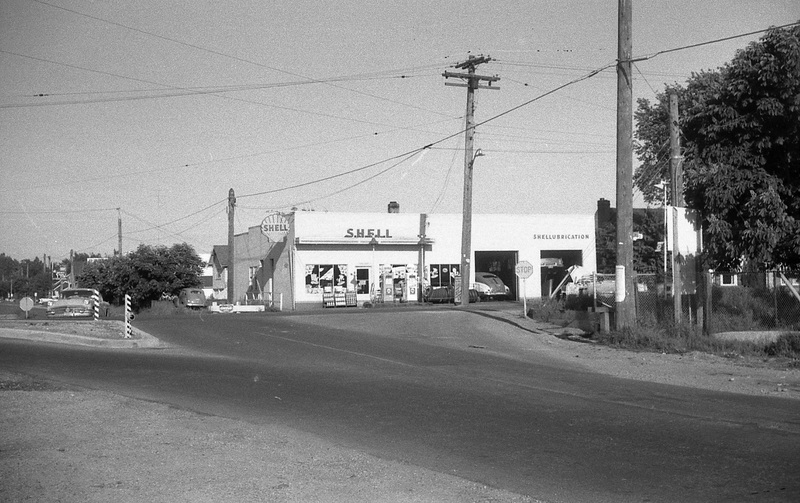 On the right in this photo is the Agricultural/Community Hall and on the left is the Richmond Methodist Church, now Minoru Chapel. City of Richmond Archives photograph 1984 17 78. In 1891 a new schoolhouse was built by the North Arm School District and the Methodist Church was built nearby, freeing the Town Hall from those duties. In 1905 the hall got its first telephone and in 1911 the heat from the wood stove was supplemented with the addition of an oil stove. By 1912 Council started discussing the need for a new hall in a location more suited to the Municipality, which by now had built many roads and was serviced by the BC Electric Railway’s Interurban Tram. Horses and buggies and a crowd of people fill Richmond’s Municipal lands for an agricultural fair, ca. 1907. 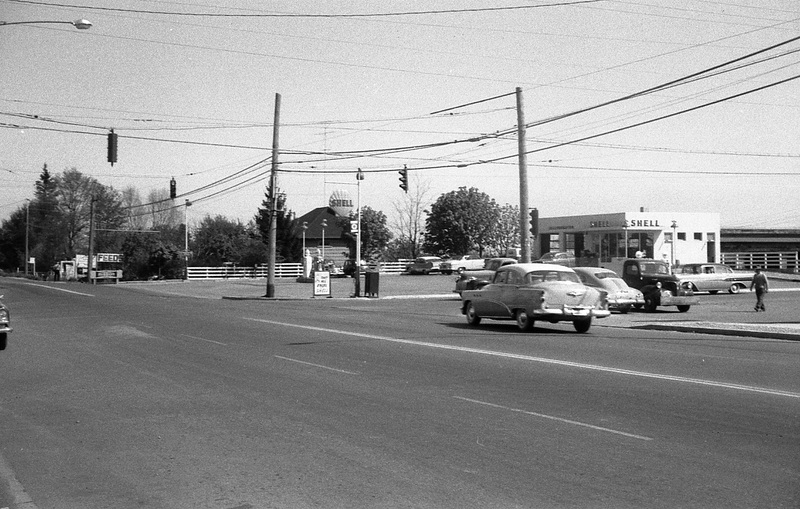 This image looks toward the present intersection of Cambie Road and River Road and shows the Town Hall (L), Agricultural Hall (M) and Richmond Methodist Church (R). 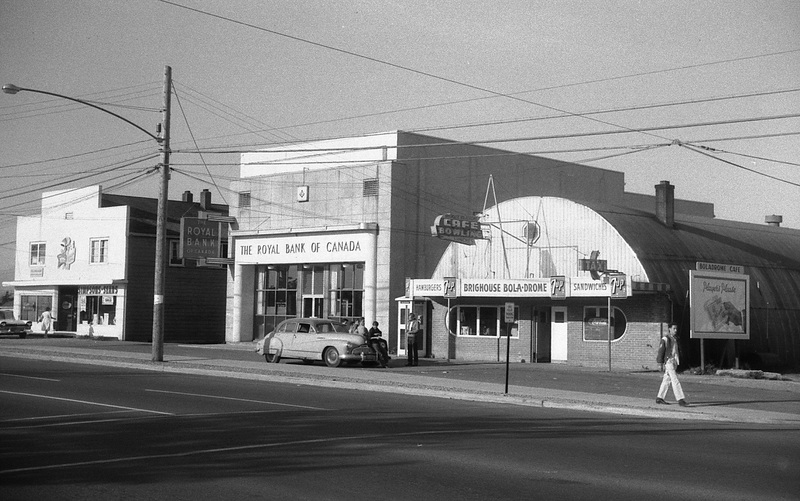 The building in front of the church is the present location of the Richmond Rod and Gun Club. 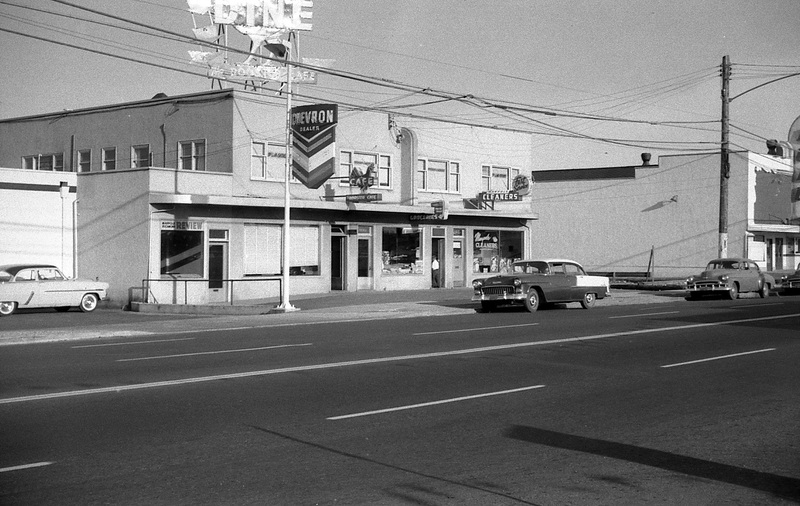 City of Richmond Archives photograph 1977 9 18. The need for a new hall became more imperative in January 1913 when two auditors were going over documents in the hall. One of them, Mr. J.H. Lancaster, threw some gasoline into the wood stove thinking it was coal oil. The ensuing explosion caused the Town Hall to go up in flames. Mr. Lancaster was seriously burned and passed away some time later. The other auditor, Mr. J. Glanville received less serious burns. Quick work by Reverend M. Wright and other bystanders resulted in most of the town’s records being saved. The first Council Minutes for the Corporation of Richmond were saved from the disastrous fire that destroyed the Town Hall and appear to be scorched around the edges. 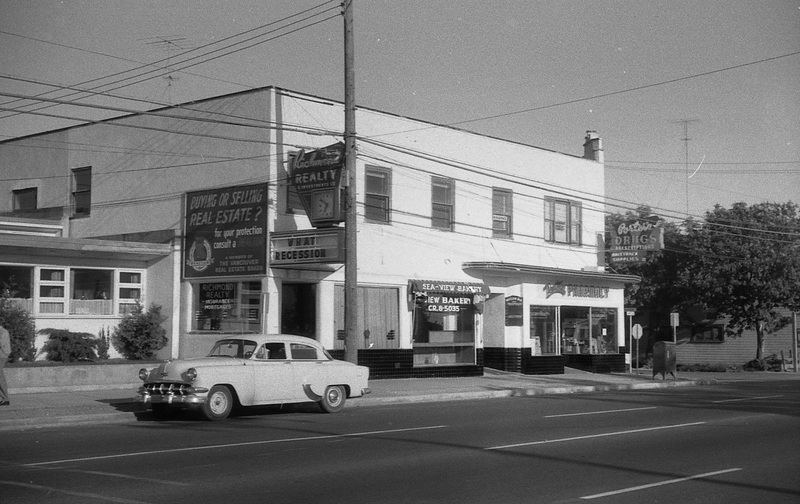 City of Richmond Archives photograph. The loss of Richmond’s Town Hall meant that a new venue needed to be found for council meetings. The Mayor and Council used Bridgeport School as a temporary location until a new hall could be built in a more suitable location. The start of World War One dictated that the school would continue to be Richmond’s centre of government until 1919. Bridgeport School hosted Municipal Council meetings after the original Town Hall was burned in 1913. Shown here ca. 1940, the council met there until 1919. Next – The Move to Brighouse.